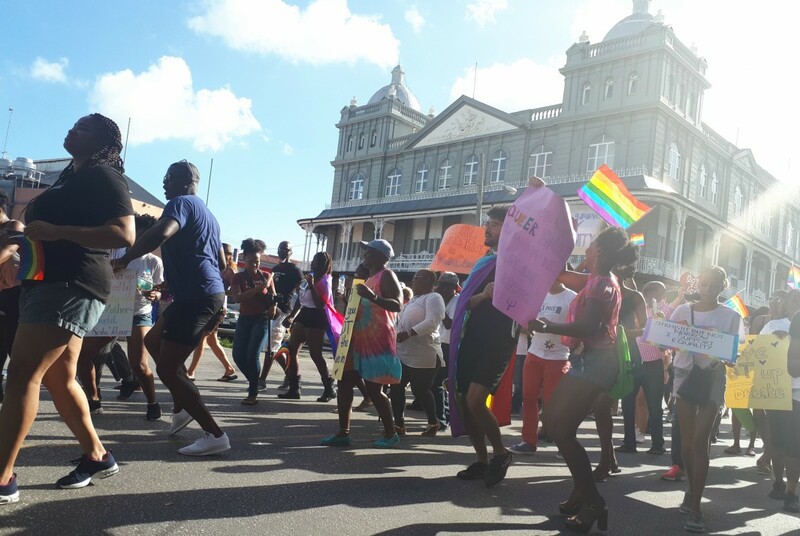 The Barbadian LGBT community held its first Pride Parade over the weekend and judging from the attendance and the lack of incidents, the event was a success. No doubt, the most surprising unfolding of the parade was an address given by Anglican Priest, Father Clifford Hall. Speaking to parade attendees on the middle of Broad Street, Father Hall stated boldly that there is no getting around or shying away from acceptance of LGBT lifestyle. His comments come days after a group of religious leaders convened a press conference to denounce the LGBT agenda and criticise the Pride Parade. His words were met with roaring applause from Pride Parade attendees. He also reminded the group of their acceptance into the “flock of Christ”, telling them God is ready and willing to give them the Kingdom. 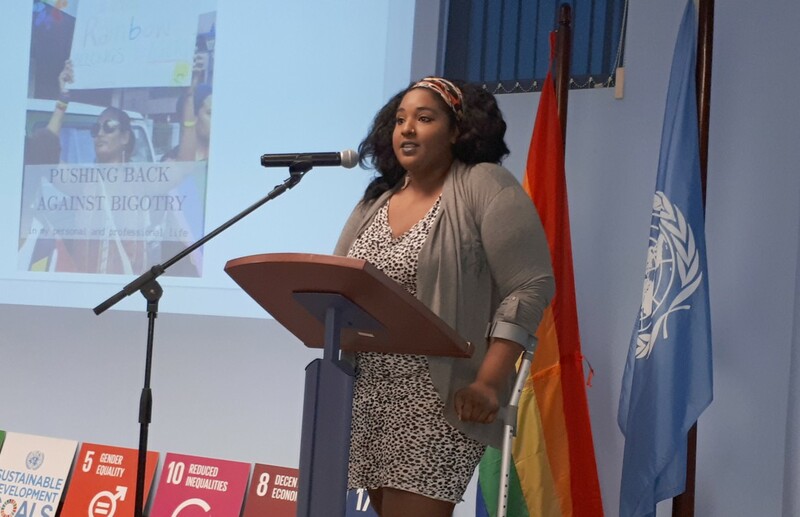 Words of encouragement were also given by UWI Gender Studies lecturer, Dr. Tonya Haynes who told the group LGBT people do not need to shrink themselves to please others in society. “Let us all share the nation,” she said. 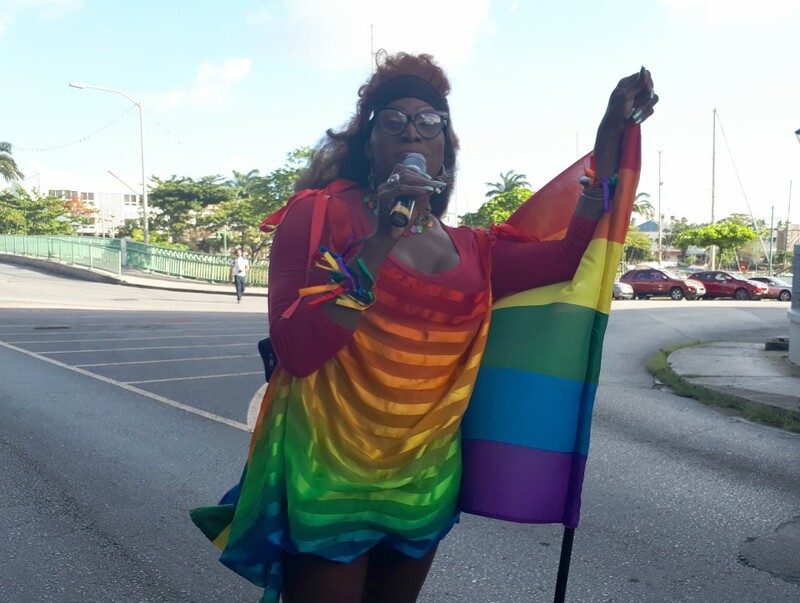 LGBT advocate, Didi Winston, decked out in full rainbow garb, urged LGBT people to love themselves unapologetically and if they knew of others who had not affirmed their sexuality, leave them alone until they found the courage to do so. Today’s Pride Parade started at Rihanna Drive on Spring Garden Highway, onto Fontabelle, Broad Street and ended at Bay Street Esplanade. Supporters partied to soca and some traditional LGBT claimed theme songs such as Diana Ross ‘I’m Coming Out’. 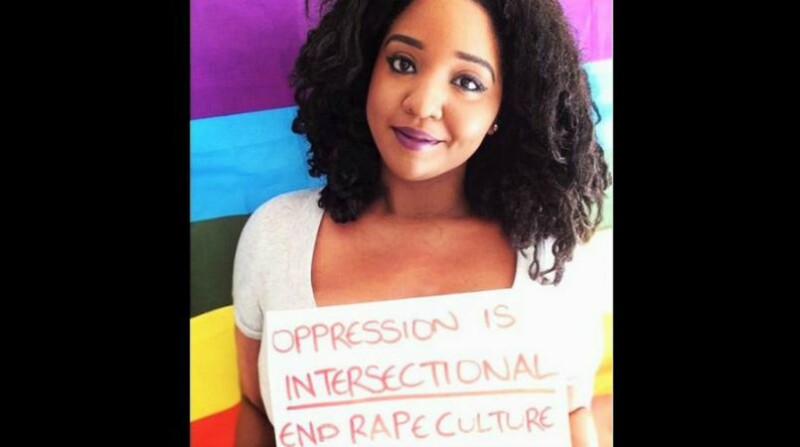 LGBT community celebrating Pride Month "unapologetically"